Traditional Thai massage dates back to some 2500 years ago in India, in times of Ayurvedic and Yogic healing. 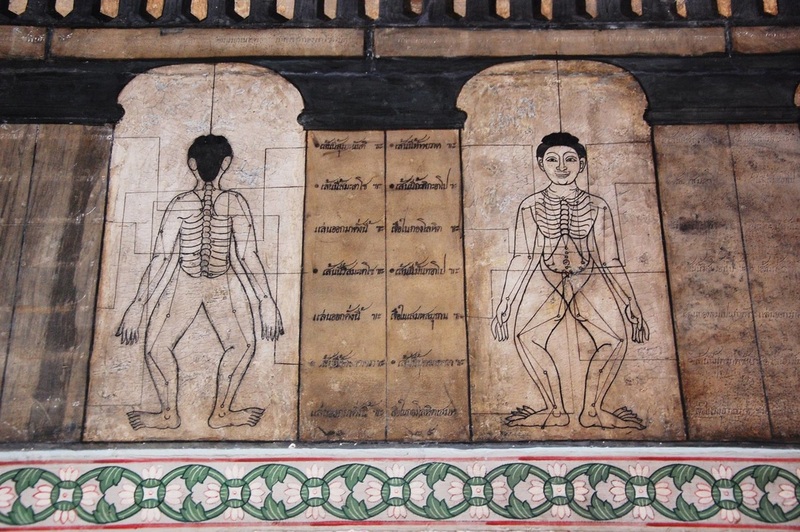 It was brought over to Thailand as a medical practice by a famous Indian doctor “Jivaka Kumar Baccha”, the Buddha’s personal physician and doctor of the monks in the monasteries of that time. The teaching and sharing from generation to generation and from master to student has made this massage the intuitive healing art that it is. Along with herbal medicine, nutrition and spiritual practice, Thai massage makes up the core of traditional Thai medicine and is for this reason that the treatment is more of a spiritual practice, closely connected with the teachings of the Buddha. The application of METTA (loving kindness) and VIPASSANA (meditation of insight) enables both the giver and receiver to open energy channels and to be healed. With the application of rhythmic pressure on certain points and energy lines in the body, the yogic stretching of muscles and joint manipulation, blockages can be released and the energy restored to its natural flow. By using body weight, correct posture and the hands, thumbs, elbows, knees, feet and forearms the massage is able to go deep into the internal organs and soft tissue. Because this massage is working on the different body layers (koshas) the release works on an emotional, energetic and physical level. Above all, Thai massage is a sacred, loving healing dance, where two people come together to heal and be healed for the benefit of all living beings.